Last September, the Mach 1 Pitching program was launched. Over the course of the past year, over 100 pitchers have participated in the program and seen great results in velocity, command and on-field performance. After all, baseball players should train to compete on the field, not just for the sake of training. Mach 1 Hitting combines the best expertise, programming, technology, equipment and facilities into a single, comprehensive program. It is built on years of experience from coaches at All-Star Performance and trainers at Athletic Republic. We focus on body movements and athleticism that puts your barrel in the right position at the right time, consistently. 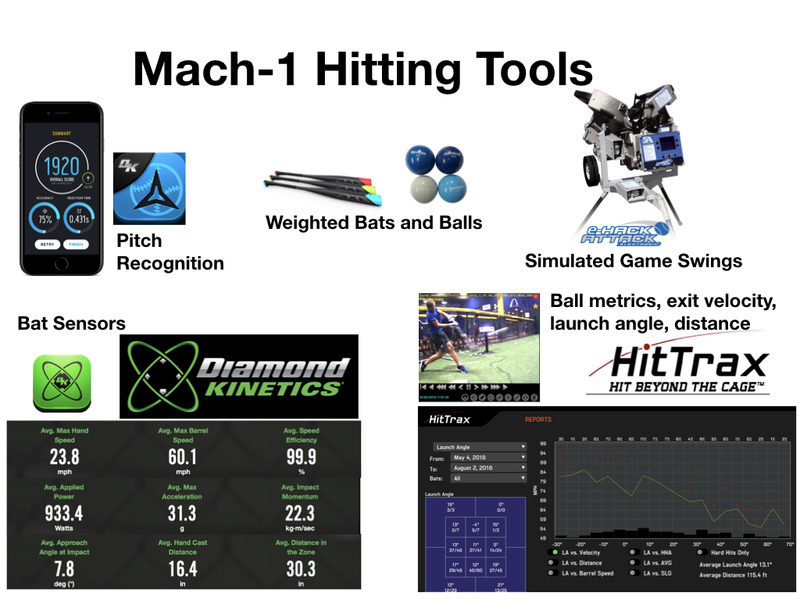 Mach 1 Hitting is data and performance driven development. 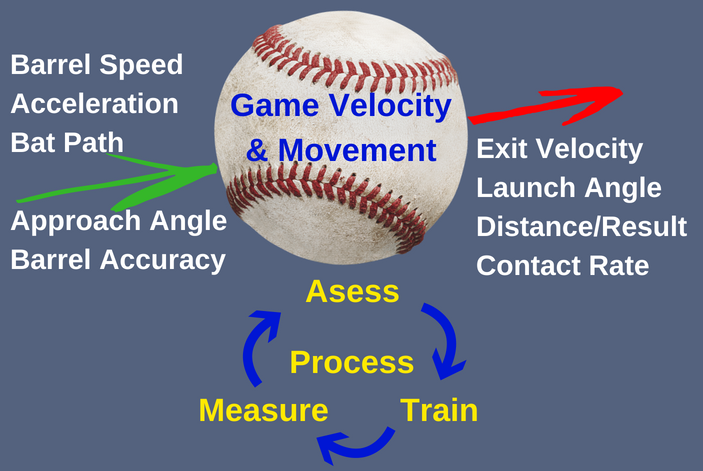 We use the best technology to assess => train => measure hitters on what matters. We have a proprietary algorithm and eHack pitch sequence that accurately predicts ACTUAL GAME PERFORMANCE based on HitTrax data. Mach 1 cage performance directly translates to in-game performance! What’s Included in Mach 1 Hitting? All Hitting sessions in state-of-the-art Mach 1 cages — weighted bats/balls, Diamond Kinetics Sensors, Hittrax and eHack pitching machines. On-site Strength/Power training with Athletic Republic led by sports performance trainers. Customized workouts for each player. Workout after your hitting session or come in as often as you want during open gym times. EVERYTHING you need to get better and develop — in a single program at one location. Bryan Niedbalski is leading the Mach-1 hitting program. Bryan is from St. Louis, playing baseball at DeSmet high school and summer baseball with the Gamers. He played college baseball at University of Iowa under Rick Heller, participating in one of the biggest program turnarounds in college baseball. Bryan started coaching college baseball immediately after graduating from Iowa with a degree in Sports Business. He became one of the youngest head coaches in NCAA baseball at Maryville University and led the team to its highest D2 win total (28) with an offense that generated 6.7 runs per game. 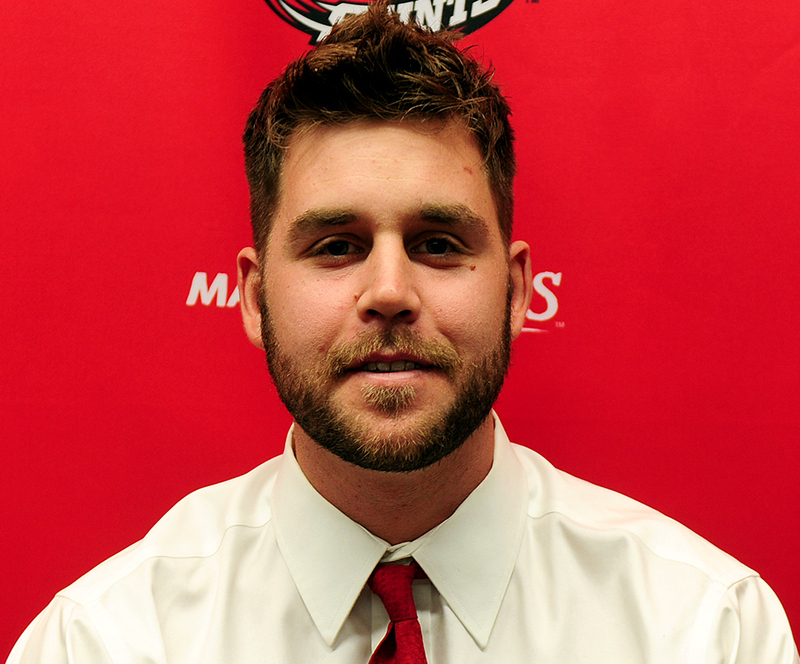 Bryan has a passion for hitting and player development, and is the perfect leader for Mach-1 Baseball.